Elder abuse is a problem in western cultures world-wide. There are many forms of abuse ranging from neglect to physical abuse, and within that range is financial fraud. Elder fraud can take many forms and we’ll focus on the type of fraud that primarily uses the internet in this article. Seniors are disproportionately targeted as victims for fraud. The AARP (formerly the American Association of Retired People) found that while only 35 percent of the American population is over 50 years old, fraud victims over 50 accounted for 57 percent of all fraud. It’s difficult to obtain numbers on how large a problem elder fraud is world-wide. Different organizations calculate numbers in different ways and also define fraud differently. All we can be sure of is that billions of dollars are lost each year to criminals preying on elder citizens. 2 Why are elders targeted? 5.1 Never give out any information or money based on an email. 5.2 Never give out any information or money based on a phone call unless you know and trust the person. Fraudsters play a numbers game. They know that most of their attempts to con people won’t work, but they also know that some will. To succeed, the con-man has to make as many tries as possible. Going door-to-door attempting to scam people has low odds because it takes a long time and it’s only possible to hit so many doors in a day. Also, once a scam succeeds, the con-man has to high-tail it out of town before getting caught. Then, find another town and start all over. The internet removed all those problems for fraudsters. They can now sit in the comfort of their own home, possibly countries away, and through the use of spam email attempt to con thousands of people per day, every day. From responses to that general attack, more targeted spear phishing can take place in an attempt to defraud specific individuals. The problems that plague humanity are fairly steady throughout life. We all want to be safe, warm, fed, loved, and financially secure. Very few people have all of those things all the time, and in our elder years the absence of some of those things can converge into a pattern. It’s easier to phish people if you know what their problems are. A general phishing attack may use low mortgage rates, as an example. At any given time there are millions of people looking for mortgages but there are billions who are not and don’t care about the mortgage email. 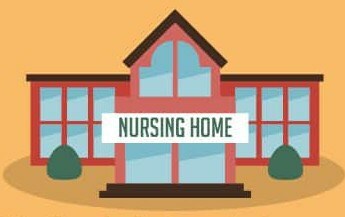 Seniors, on the other hand, tend to have a smaller pool of things that are of greater concern. As a population, things like medication costs, proper health care coverage, financial security as retirement funds run out, and providing for loved ones left behind tend to get more attention. It’s therefore easier to craft phishing emails about a small number of subjects that a large percentage of a population is likely to be interested in. Other reasons may include the fact that many seniors are isolated and therefore have nobody they can trust to run ideas by. Email did not become widely affordable to households until the 1990s in Canada and wasn’t a daily communications mechanism until after that. Anyone over about 30 today has memories of a world without internet and our seniors would have spent most of their lives without it. That can lead to confusion over how reliable email is, and how much trust to assign it. It’s also not uncommon to experience some level of diminished mental capacity as we age. That can tax our decision-making abilities to the limit and lead to bad decisions. Monetary scams aimed at elders are attractive to criminals for two diametrically opposed reasons. On one hand, many seniors are living on fixed and inadequate incomes and could use more money to live on. On the other hand, many seniors have sizable nest eggs and large amounts of equity in their houses so they can get their hands on a lot of money. The most insidious scams play both angles. Fraudulent investment or insurance schemes seek to bilk money out of people with the promise of some greater reward down the road. While it can be grisly to consider at the time, it is always important to think of how much time is left for an investment to mature. By and large, elder people would be looking at short-term investments and there are very few legitimate lucrative short-term investments. The insurance scam plays the other angle – there is no concept of pulling any money out of the insurance policy. Rather, heart strings are played upon to invest money for those left behind. In some cases, the insurance agent actually is a legitimately licensed insurance agent, but is still trying to commit fraud against the elderly. David Pickett, as US-based insurance agent, has been arrested 3 times for fraud. A sub-class of this type of fraud involves offers to lend money that seem too good to be true. These types of scams are usually complicated to figure out because it’s hard to believe someone can fraudulently give someone else money. A complex example of this is the reverse mortgage system that exists in some countries. In a reverse mortgage situation, elder homeowners with significant equity in their property can opt to take a chunk of money for the estimated value of their house at the time they pass on or willingly move. At that time, the lender takes possession of the house and the debt is paid. The danger lies in that the principal plus the interest over time can end up being more than the house is worth. In some countries, such as Canada, only 55 percent of the value of the property can be reversed mortgaged. That is to hedge against the possibility of the loan exceeding the value of the property when the debt is repaid. Some mortgage bloggers state that the value of the loan is not allowed to exceed the value of the property, but neither the government of Canada site, nor the single authorized reverse mortgage lender in the country (HomEquity Bank) confirm that. It’s harder to find concrete information on reverse mortgages in other countries. In the U.S., for example, the borrower’s estate generally does not have to pay any excess of the balance over the property value, but legislation enforcing that isn’t readily available. Reverse mortgages are not inherently fraudulent, but if the industry is not tightly controlled in your country, be sure to obtain sound third-party financial and legal advice beforehand. Lottery scams are targeted at people of all ages and elder people are no exception. The basic framework of a lottery or sweepstakes scam is to tell the victim they’ve won a large prize of some kind, but some smaller amount of money has to be paid in order to claim the prize. The money to be paid is usually attributed to non-existent things like “international transfer fees” or something equally silly. It is safe to say that if you’ve never entered a lottery, you can’t win it, so claims like this out of the blue are a red flag. Legitimate lotteries are tightly regulated to ensure there is no fraud. It is extremely unlikely that a real lottery organization would contact the winner by email to begin with. It’s no secret that thirty-somethings don’t need a lot of prescriptions. As we age, that changes and by the time we reach our elder years most people routinely take prescriptions of some sort. Depending on the type of drug and the available health care, those bills can add up. This creates a rich environment for scammers to prey on. Spam is estimated to account for over 70 percent of all email on the internet. Of that, 65% is pharmacy related spam. With numbers like that, it’s almost certain that we’ve all received pharmacy spam at some point. The National Association of Boards of Pharmacy is spearheading a movement to help customers identify legitimate pharmacy sites. A Top Level Domain (TLD) named pharmacy has been created. Much like a “dot com” domain has the extension .com (www.example.com), only legitimate pharmacies should be able to purchase “dot pharmacy” domains. The Safe Pharmacy site (www.safe.pharmacy) contains more information on that initiative. Identity theft is a strange sounding term, but it is accurate. Identities are very valuable because identities can be used to get credit cards, open bank accounts, and a wide variety of other nefarious activities. Stealing an identity simply means pretending to be some other person in order to fraudulently obtain money or other items. 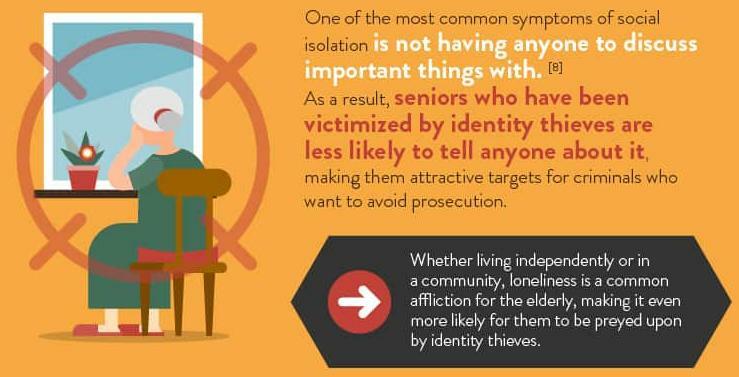 Seniors represent about 15 percent of the U.S. population but disproportionately account for 22 percent of all identity theft. Identity thieves are generally criminals of opportunity. Taking some basic steps can greatly increase your protection against becoming a victim. We’ve provided some easy-to-follow steps here. There are a large number of Identity Theft prevention services in the U.S., which you may want to use as an added precaution. A very large, ongoing scam that targets seniors is the IRS Scam. It has been going on for years and specifically tries to identify seniors as victims.The caller pretends to be the from the IRS and states that you have a tax debt that must be immediately paid in order to avoid arrest. Sometimes it can be painfully obvious when fraud has occurred. A suddenly empty bank account, or a sweepstakes cheque that never arrived can make it pretty obvious that you’ve been scammed. In other cases, the fraud can be more of a long-term process which siphons off small amounts of money over time and is harder to detect. If you’re vigilant, you may be able to spot the signs of elder financial fraud happening to yourself, or someone you love. If you have knowledge of their banking habits, you may find unpaid bills or unusual signatures on returned cheques. Caregivers or other people close to the victim that seem to have items or a lifestyle above what you would expect to be affordable can be a red flag. They may just be good savers, or they may be supplementing their income in other ways. List adapted from the Delta, B.C. police force. Credit monitoring companies are required to provide free credit reports at least annually. Ensure you take advantage of that and review your reports for accounts that you didn’t open. In Canada, you can also review your credit report monthly for free at Credit Karma. Credit Karma also has a [U.S. site]((https://www.creditkarma.com) which you can use, or Annual Credit Report. The Canadian Network for the Prevention of Elder Abuse has some guidelines to help prevent elder abuse in general, and fraud is a form of abuse. One of the less obvious things you can do to prevent fraud is to be socially active. If you maintain a group of friends or stay close to your family, you’ll have a peer group to bounce ideas off. If something seems suspicious, you’ll have someone to talk to. Also, you’ll have people in your life who know your day to day lifestyle and may be able to recognize if something is wrong. Email is a completely insecure means of communication and is used in a wide variety of scams. It is terribly easy to craft an email to look like it came from a trusted entity, when in fact it did not. There should be no reason to send anyone money based solely on an email request, even to people who appear to be friends or family. Always follow up email requests with a phone call or some secondary method of communication to ensure it is a legitimate request. Short for Virtual Private Network, a VPN encrypts all of a device’s internet traffic and routes it through an intermediary server in a location of your choosing. This prevents hackers and other bad actors from monitoring online activity and tracing it back to the user. This is especially useful for people who connect to public or shared wifi, such as elderly people who reside in assisted living facilities. VPNs might seem a bit too technical for some elderly people but they can usually be configured to connect whenever internet is available, allowing you to set it and forget it. Elder fraud is a form of abuse and is therefore against the law in most countries. Your local police force should be a good first point of contact in all cases. Depending on your country, there may be other organizations that can help as well. In Australia, each state or territory handles incidents in their area. The Australian government has a list of agencies that can take reports of elder abuse, in addition to helping in other ways. The federal Royal Canadian Mounted Police investigate elder abuse. You can contact them directly or your local police force. The Canadian Network for Prevention of Elder Abuse maintains a help page which includes a list of shelters in various provinces. Each state operates an Adult Protective Services agency. Each agency appears to be run autonomously, but you should be able to locate the proper one by searching for your state name and the phrase ‚Adult Protective Services‘. As well, the AARP (formerly the American Association of Retired People) is a good resource. It maintains a list of agencies in various industries that can help. The U.K. government website directs fraud cases to your local police force, and also provides a number for the Action on Elder Abuse hotline. You can also contact Action Fraud, the U.K.’s national fraud and cyber crime reporting centre, for guidance. Fraud of all kinds can usually be detected by simply being vigilant and involved in your day-to-day finances. Elder fraud can be hard to be vigilant against because of the potential for confusion and isolation in our elder population. Maintaining social contact with your family and friends throughout life, and remaining as vigilant as possible are the best preventative measures.